1903. W.H. Lewis - Station Master. 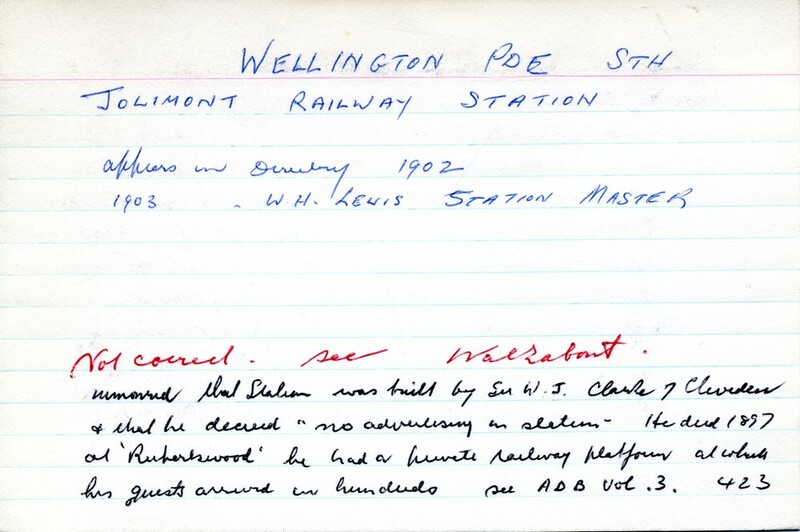 (Note: There is a reference in the index card regarding Sir W.J. Clarke. 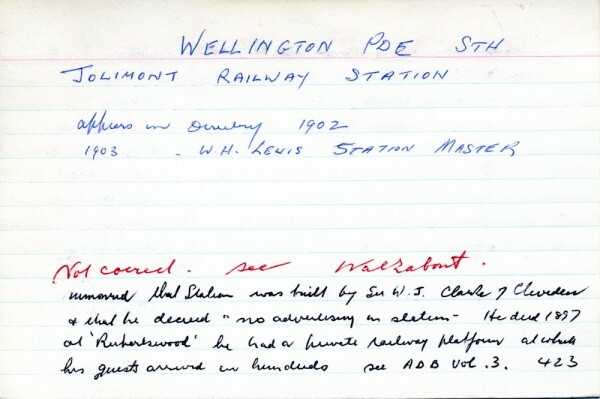 The private railway platform seems to be one at Sunbury, near his 'Rupertswood' property. See 'Walkabout' and A.D.B. Vol.3).